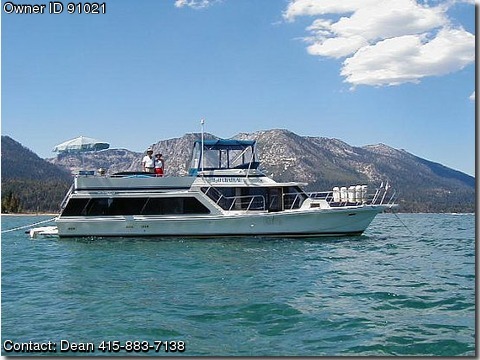 Basic Decription: THIS A 1984 VESSEL WITH 1,950 HOURS ON THE ENGINES. THEY RUN VERY STRONG BUT THAT IS THE DRAWBACK TO SELLING HER. HAD HER IN LAKE TAHOE FOR 22 YEARS. VESSEL AS I AM AGING A BIT.